The SolarLeaf ™ is distributed energy storage solution that comes in 1kWh units and can be scaled to meet energy storage needs. SolarLeaf is designed to utilize existing balance of system equipment and can be installed at the same time as PV modules. What is the significance of Yotta’s partnership with PanelClaw? There is a huge need for energy storage on commercial solar projects to tackle high-demand charges and offset expensive rates. PanelClaw is the market leader in commercial ballasted systems and has a proven track record in this space. 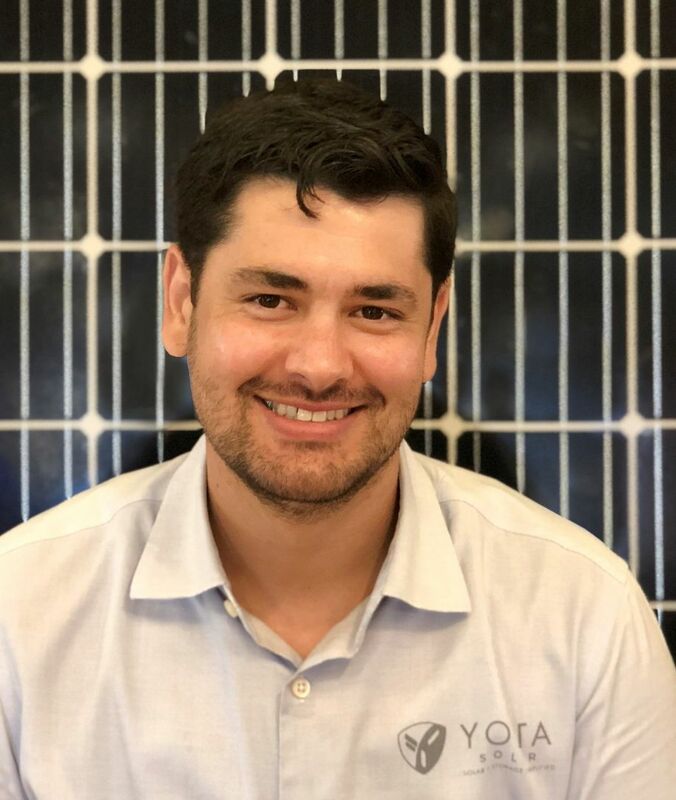 The use of Yotta's innovative energy storage solution combined with the ability to replace or reduce the need for standard concrete ballast is a breakthrough for renewable energy and will greatly simplify solar+storage on commercial buildings. What does this partnership mean for the future of rooftop solar? Current market solution have a large adoption curve as they often require complex design and engineering to retrofit on existing buildings. Yotta's 1kWh SolarLEAF™ can be easily integrated into a commercial project in the same way that standard ballasted systems are currently designed. Tell me about SolarLEAF – how does it work? The SolarLeaf ™ is distributed energy storage solution that comes in 1kWh units and can be scaled to meet energy storage needs. SolarLeaf is designed to utilize existing balance of system equipment and can be installed at the same time as PV modules. The SolarLeave gives an average of 4 hours of storage duration when paired with standard 60 and 72 cell solar modules ~ 300-360W. Why is thermal regulation such a breakthrough and how does it work in this system? Yotta's innovative thermal technology protects the batteries from experiencing high-temperature swings ensuring a long-lasting battery system. Unlike other outdoor rated stationary energy storage solutions that require HVAC or liquid cooling systems, Yotta's technology works passively and is maintenance free. Where can we expect to see this technology applied – what markets? The commercial market is a specific focus for Yotta and we are currently developing pilot projects with key partners. The SolarLeaf is also be designed to work in single use, remote off-grid application and small microgrid systems. Full specs for these markets will be released by the end of Q2.